Donating Blood? What You Need To Know Before You Go! In the words of Derek Shepherd, “It’s a beautiful day to save lives!” A pint of blood has the potential to save as many as 3 lives so get out there and start saving people! Drink lots of water and eat iron-rich foods a few days before giving blood. Both men and women have a certain iron level you must meet in order to give blood or you will be deferred. In most states, you must be 17 years or older to donate blood. Also, certain health conditions and travel destinations can affect your eligibility to give blood. You must be at least 110 pounds to donate. It is helpful to know a few things about blood types. If you are O negative, that means your blood is universal and can be used by anyone without the chance of rejection so therefore this blood type is in high demand. If you are AB, you are able to receive any type of blood donation. 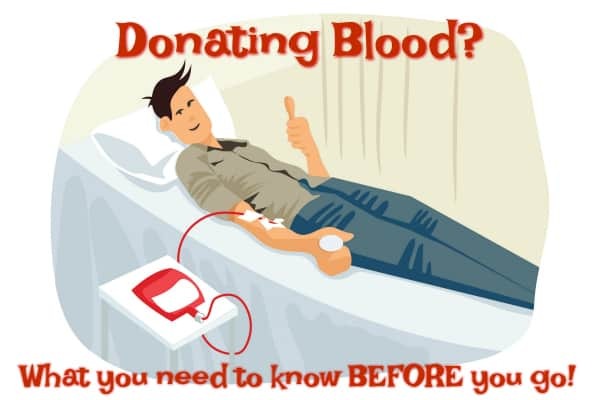 Whole blood donations can be done every 56 days and power red cell blood donation can be done every 112 days. If you are afraid of needles, just look at the picture of my husband below! 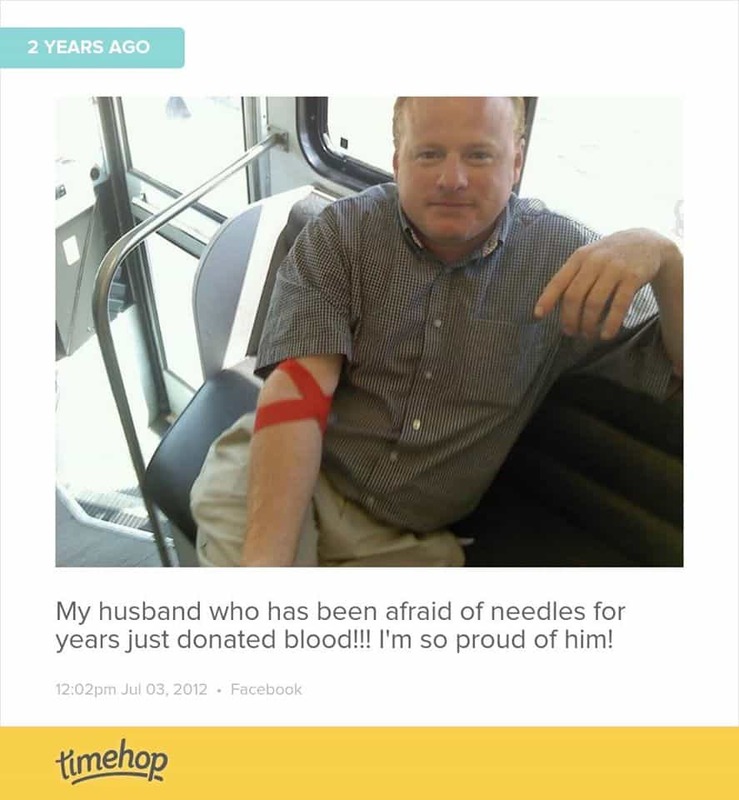 He conquered his fear after many years and is able to regularly give blood with no issues! The feeling of accomplishment and helping people far exceeds the small feeling of the pinch of the needle! There are many opportunities to donate in KC! If you are looking for a place to donate check out the American Red Cross or Community Blood Bank. Both companies are running promotions right now with the KC Royals and Worlds of Fun if you donate. Previous story This Weekend At The Box Office: Wonder Woman! The Importance of Self Care in the New Year: Healthy Year, Healthier YOU!